Get your hands on this excellent Undead killer! 440 stainless steel blade that is razor sharp to the touch. Full tang machete. 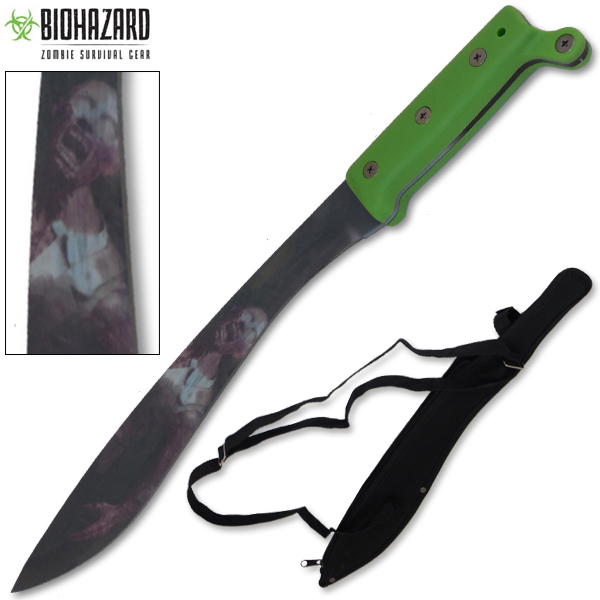 Burned Undead graphic on the blade. 13.5 inch blade length - 5 millimeter thick blade. 4.5 inch handle made from hard ABS plastic. Neon Undead green handle. Free nylon sheath included with shoulder straps.